Live streaming is something that has been on the rise for the past few years, allowing people not only instant access to news, information, and entertainment, but also interaction with the people in front of the cameras and mics. To many peoples’ surprise, this bold idea is actually nearly a century-old piece of technology. Today, MyChannel is breaking the mold even more, effectively connecting both sides of the stream to each other and creating a more interpersonal experience while removing the middle man. Unknown to the majority, streaming’s original patent was actually pursued as early as the 1920s, decades before the first computer was invented. However, modern-day live streaming is more associated with computers, mobile devices, and the internet. 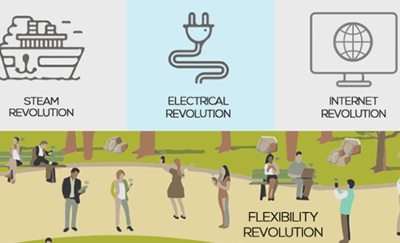 Because of today’s technology, people have relatively easy access to networks and gadgets. In fact, people are more and more reliant on the internet for access to various forms of media, including news and entertainment. Live streaming, one of the several ways of serving up in-demand information and entertainment to the masses through websites and social media, is increasing in popularity. A survey conducted by Livestream, a video live streaming platform based in New York City, found that 87% of people prefer watching live online videos than tuning in on their television sets. On top of that, 82% say they prefer live video over other forms of social media posts, and 80% prefer it over reading a blog post. Today, many businesses can leverage this kind of reach that live streaming can give them. Universities, entertainers, professional athletes, businesses, practically anything with an online presence can create their own media platforms and virtual television stations that not only broadcast the data they want, but also have one-on-one engagements and relationships with their audience. Live streaming is a revolutionary way of letting people consume information. Many companies are not only embracing this trend, but banking on it as an effective way to not only reach but also interact with their audience. Compared to more traditional social media posts that only leverage “likes,” views, and comments, live streaming may create an even more positive change through true engagement. MyChannel’s brand of live streaming is changing the face of live video and audience interaction. This platform allows content creators not only to broadcast, but also to analyze how their viewers perceive and interact with this content. MyChannel lets businesses personalize content so their branding and connections are not only effectively targeting the right people, but also “hearing” what they want, so to speak. Even major companies such as Fortune 500 businesses can reach people this way, as if their CEO is right there speaking with the customer and finding out what they like. MyChannel, Inc. (sometimes stylized as “MYC”) was founded in 2014 by Julian Duggin and Gibran Gadsden, who worked previously together in a Digital Agency. Based in Chalfont, Pennsylvania, the company describes their bold innovation as “A mobile first application that is bringing social video to the workplace to enhance employee engagement.” They are seeking to break ground when it comes to delivering media, creating a collaborative and interactive space for users of on-demand and live video. The platform, in a way, breaks the proverbial barrier that usually exists between the publisher and their audience. While most publishers today can instantaneously get their message across, usually with a media company as their middleman, having information transmitted the other way around is not yet a common thing. While MyChannel is a live streaming platform on its own, it can also be used by others to take advantage of sentiment analysis – a tool created by Centiment, AI machine learning, various data analysis, and other tools. This way, even other video streaming sites can take the data in order to personalize their content to their target audience via multi-channels. 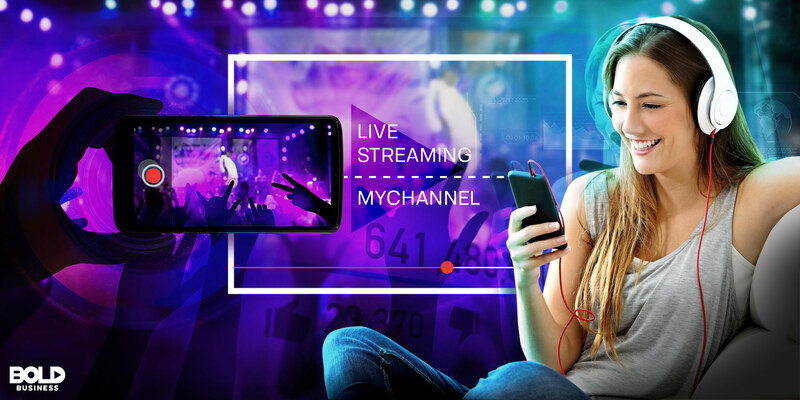 MyChannel is practically a newcomer to the live streaming business, but that does not negate the fact they have significant experience in live streaming and in curating personalized content. Combining the technologies they have as well as their considerable experience in live streaming means they can make use of such data to analyze any issues in the interactive live streaming industry to further improve it. The rise of real-time engagement can be seen in many of the already-existing media companies and social media sites, with great success. For example, among Facebook’s 2 billion users, 360 million of them use Facebook Live, and it was found that users would comment around 10 times more often on these compared to regular videos. Facebook’s subsidiary Instagram, with 600 million users monthly, has launched Instagram Stories, and recently launched a Live feature within the Stories section as well. It has become so successful that its 200 million daily Stories users has contributed to the decline of Snapchat’s growth, which slowed 82% after the launch of Stories. YouTube, one of Google’s acquisitions, has over 1 billion active users. The internet video magnate created a live streaming feature available to verified channels, allowing its viewers to type in real-time comments in a live chat, and can even buy “Super Chats” so their messages are highlighted and pinned during a live stream. However, unlike most traditional media companies, MyChannel does not interfere as the bridge between the content publisher and the viewer directly. “That’s our bold idea: self-publishing, white labeling service, as well as a new rating system,” Duggin explained exclusively to Bold Business. He stated that their self-publishing platform is one that can be white labeled, meaning the publisher has complete control over when content goes online and even control how it’s monetized. He also shared how their new rating system with sentiment analysis, one that rivals the likes of Nielsen and other media rating moguls, tracks what people are saying in order to find out how people feel about the live stream as it’s happening. Currently, companies and schools including Optum Healthcare and Morehouse College are using MyChannel’s innovative platform. Such establishments can utilize the MyChannel platform even further by using it internally for town hall meetings, various training, and others, combining video with real-time analysis on feedback that may be used to improve upcoming live streams. “For the future, we believe we can really put a dent on what a media company really means,” Duggin says. In addition to such engagement, their content rating platform’s innovative take on using emotional responses allows content creators to dive deeper, checking not just likes and dislikes, but further into viewership details relating to how people actually feel about the live videos.